for those who didn't know, or those who have forgotten, in september 2014, scotland held a national referendum to decide whether it remained a part of the united kingdom, or pulled up the drawbridge and declared independence from its westminster oppressors. despite that last jibe, you'll be happy to learn that i intend to abide by the unwritten rule that specifies conversations ought not to concern themselves with religion or politics, particularly when the writer is less than engaged with either. however, though i did not vote for independence, you do have to worry about the definition of democracy when scotland finds itself at least partially ruled by a conservative government in westminster despite featuring only one affiliated mp throughout the land. but that apparently iniquitous situation is not germain to that which follows. the estimated population of the land and its 790 islands as of 2014 was reckoned to be around five and one-third million persons, a few thousands more than the 2011 census. the bulk of that population resides in what is usually described as the central belt, effectively the urban and city regions between glasgow and edinburgh. the latter sits on the coast bordering the north sea on scotland's east coast, while glasgow, though more centrally situated is more or less the capital of the west coast, despite its location a tad inland on the river clyde. those of us on the west coast, including islay, literally on very edge of the atlantic ocean, are pretty much beholden to glasgow. on reaching the kintyre peninsula by calmac ferry, the regular coach service terminates at buchanan bus station, right in the centre of the city. for those who have need of hospital or dental treatment, such is preceded by a thirty minute flybe flight to glasgow airport at abbotsinch near paisley. for the hebrideans, edinburgh scarcely features at all. but glasgow is less than 50 miles from edinburgh with excellent road and rail links between the two. while sitting in buchanan bus station a few days ago, the citylink 900 coach service to edinburgh bus station (which seems remarkably small to serve a city with a population of near 500,000) arrives and departs every fifteen minutes throughout each day. twenty-two miles in the direction of glasgow, effectively half-way between the two cities, lies the town of livingston, home not only to endura cycle clothing, but also to shand cycles. prior to endura moving into their new custom built headquarters a few years back, the two were virtually neighbours in houston industrial estate. 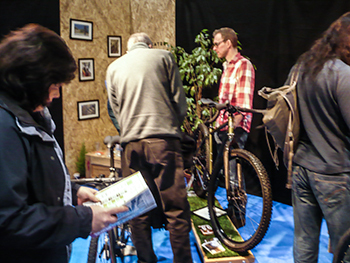 circumstances have so far prevented me from visiting the folks at endura, but a couple of years ago, i did spend some time with steven, russell and the chaps at shand cycles. which, given our respective efforts on behalf of the cycling community north of the border, is pretty much as it should be. as a student, i spent my summers working at prestwick airport which, at that time, was scotland's transatlantic gateway, halcyon days of yore that have seen it sadly diminish in importance since glasgow airport was handed the routes to north america. thousands of people worked in prestwick at that time: some in customs, some on the airport duty crew, some like me in the terminal building catering and several others catering each outbound aircraft. making mention of one's place of employ often led to "you must know so-and-so; he works at prestwick" a query akin to my expecting someone from pimlico to be well-acquainted with someone in kentish town. always possible, but not a given. however, if we place things into some form of perspective, london is home to just over eight and a half million people, all crammed into an area of 607 square miles. compare that with scotland's 5.3 million inhabitants occupying 30,000 square miles. if you were in the business of building bicycles for sale, to where would you travel to achieve the greatest bang for your buck? yes, so would i. and so would shand cycles, a very long digressive means of explaining why steven shand, russell stout and i tend to meet each other more frequently 400 miles south, despite living only 150 miles apart. 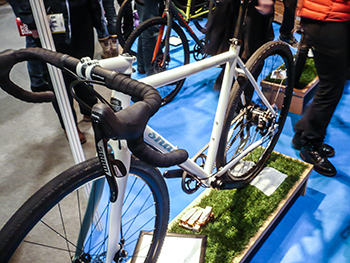 if you attended the recently ended london bike show, you will hopefully have come across russell, surrounded by several examples of livingston's finest and a smattering of tunnocks caramel wafers. though the road-going skinnymalinky was not in attendance, a bahookie, a tumshie and a stoater were fronted by the latest edition of the stooshie. i greatly admire their bicycle naming conventions; we all realise that those not privileged to live in scotland may find it all a tad obscure, but let's face it; who cares? 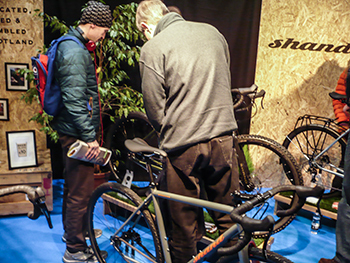 the original stooshie (generally defined as a row, a fracas or a big fuss) was to have been a bona-fide cyclocross bike with all that such entails. however, demand for such an idiosyncratic and clearly defined style of bicycle was not, as you might imagine, occupying a great many hours in the shand workshop, principally because their range of stoaters was a far better fit for "those who thought they wanted a cyclocross bike, but didn't really." the stooshie, however, has been reborn in far more cutting edge and pragmatic style. 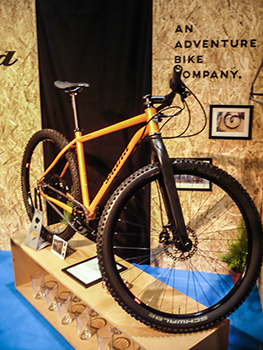 featuring a carbon front fork as standard, an oversized head tube coupled with both a gates carbon belt-drive and a rohloff fourteen speed hub gear. i can see the more observant putting their hands up to let me know that i have already reviewed a stoater of remarkably similar spec. but the stooshie bears something of a twist that does away with any need to twist. up until recently, the sole means of changing gear on a rohloff was by twist grip, usually sited adjacent to the stem on a drop-bar bicycle. not, i can attest, the ideal means of doing so. when we've all become so used to controlling everything from the brake/shift levers, it has always seemed something of a backward step to have need of removing the right hand to change gear on the rohloff. however, nothing stays the same forever. 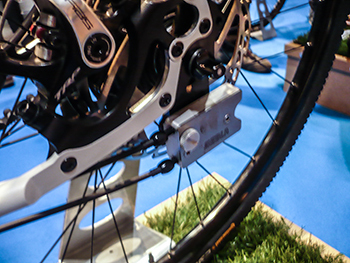 the rohloff hub gear relies on two cables to push and pull the internal selecter for bigger or smaller gears, a system that has now been augmented on the stooshie by a small silver box attached to the left side dropout. 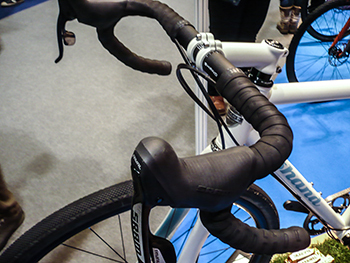 this allows one cable to attach to a leftmost sram double-tap lever and the other to a right situated sram lever. one flips the gear up and the other shifts down, just like everyday bike riding. i do hope to have one of these on review in the coming weeks, if all goes according to plan. possibly my only opportunity to be cutting-edge this year. 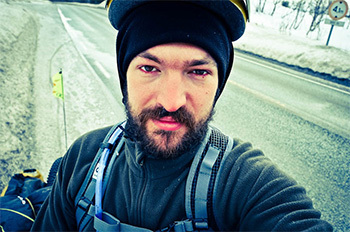 and nor will the bike have to travel quite as far as russell and i did to bump into each other last week. 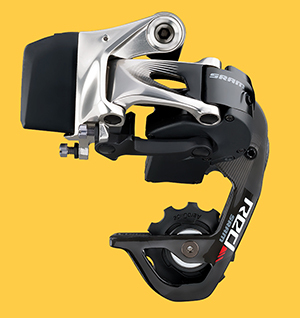 fisher outdoor, uk distributors of sram components has made it known that their first shipment of the latest e-tap wireless, electronic groupset, has sold out. according to a review in a recent issue of the comic, the price for dispensing with a set of wires, leaving most of those grommeted frame holes intact, is just a shade over £2,000. way too much for my meagre budget and quite likely that of many other cyclists. leaving aside, just for the moment, that i still consider electronic groupsets such as the e-tap, di2 or eps to be solutions looking for a problem, there's no real doubting that cycling technology has moved on substantially from the days when we all rode lugged steel with downtube gearlevers. the rapid improvement in all aspects of the bicycle has more or less kept pace each with one another; would we be as happy still aboard manganese molybdenum if gearchanging behaved as if actuated by telekinetics? depending on your point of view, this progress is either moving the cutting edge forward in welcome leaps and bounds, or it's at risk of undermining everything that was great and good in the first place. and then, of course, there is the union cycliste internationale (uci), the sport's governing body. note, however, that i preceded the latter with the word sport. the uci's regulatory body, one that arbitrarily imposed a minimum weight limit on bikes designed for competition, subsequently added insult to injury by demanding that every bicycle and wheel designed to compete in sanctioned events had need of being submitted for official inspection. 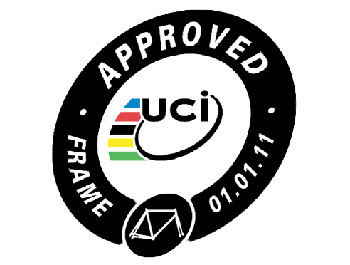 each approved item is then allowed to bear a sticker, alerting the uci race commissaires to its competitive validity. this allegedly reduces the time needed to check each bicycle prior to the commencement of each race, though the recent checks for motor assistance might have undermined this expeditious behaviour just a tad. but please note from all of the above that each detail has specific relation to the art of riding a bicycle as fast as possible in a competitive situation, something that remarkably few of us actually do with any regularity. yet our choices and availability of bicycles is, to a greater or lesser extent, being controlled by those who like to ride faster than absolutely necessary. it's a something of a stretch of the imagination to consider that electronic shifting would have headed our way with quite so much alacrity were it not for the professionally fast people. 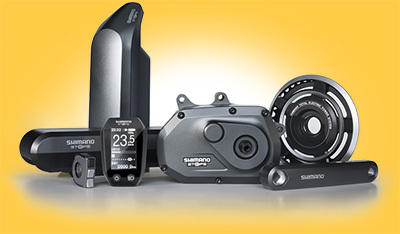 to argue against the use of electrons would be, however, a tad naive, particularly since shimano have developed a consumer version that is not only electronic, but forms the basis of an automatic gear system. this is perhaps precisely what the average cyclist really needs. many folks of my acquaintance still find the workings of the average derailleur system to be alarmingly iniquitous and inscrutable. if electrons can simplify this and make ordinary cycling more pleasurable, then all hail the cutting edge. it may be that many a taiwanese carbon monocoque frameset bears a level of stiffness that would remove dental fillings if the rider inadvertantly strayed across a drain cover. and that such stiffness is really only required by those with surnames like cavendish, kittel, boonen and degenkolb. the rank and file, such as yours truly, are far more amenable to a spot of comfort, even when sprinting for the 30mph signs at bruichladdich. but, the long and short of it is that, even if this happens at the hands of a misdirected governing body and an industry falling over itself to satisfy the desires of its sponsored riders, there's every likelihood that it's the good stuff that reaches the proletariat. and the best bit is that, when it gets there, enough people have ridden the cutting edge version to have removed any rough edges. and in the real world, there's no such thing as a lower weight limit. "I grew up in the '30s with an unemployed father. He didn't riot. He got on his bike and looked for work, and he kept looking till he found it." the above is a 1981 quote from norman tebbit in reaction to young conservative national chairman, iain picton, who suggested that rioting was a natural reaction to unemployment. tebbit's reputation deriving from that comment, mostly by way of his statement being widely misquoted, was of an employment secretary who had simply told the unemployed to 'get on their bikes'. it's a phrase that, in common parlance is most often used in a forceful and derogatory fashion, implying that the recipient ought to 'go away'. a great many of us with a hidden or manifest obsession with the bicycle would take it more as a call to action, one that would be accepted with open arms. i can assure you that if my boss (if i had one) told me to get on my bike, i wouldn't hesitate in dropping my wacom tablet and doing precisely that. however, no matter the purported increase in cycling's popularity, my perception is that it has infiltrated the mamil section of the population more than the youth of the parish. over the years, islay's junior population has been offered rugby, football, swimming, shinty and several other particpatory sports; in most cases, they have taken to these like ducklings to water. yet no matter the attempts on behalf of the velo club to swell our sunday morning numbers, the peloton still consists of the same boring old farts with dubious taste in coffee. 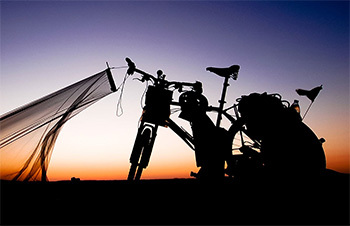 whatever happened to the youthful spirit of adventure on two wheels? it's possible that tom allen of janapar fame has had similar thoughts. but rather than continually whinge about it, like what i'm doing, he's actually arranged to do something about it. 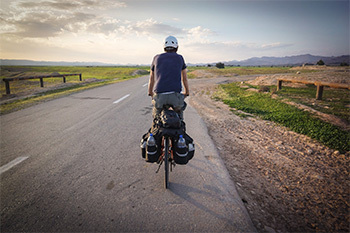 launching very soon will be the janapar grant, a bequest providing both equipment and mentorship for one 18-25 year-old to "set out into the world on a bicycle." according to tom "its purpose is to help young people begin a rite of passage journey at a time in their lives when it will benefit them most, with the fewest possible strings attached." 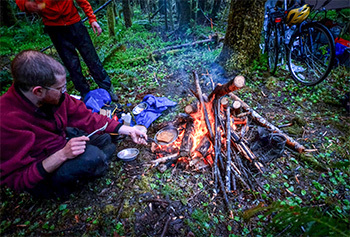 the lucky applicant will receive a complete package including an expedition-standard bicycle, luggage, camping and cooking gear, plus tools and clothing. mentorship will be supplied by tom allen, alastair hunphreys, emily chappell, tim moss, laura moss and leon mccarron, all of whom have substantial experience in the practice of cycling huge distances across the world. 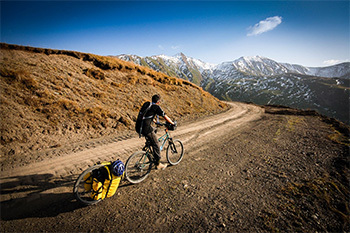 the janapar grant has been made possible due to generous contributions from oxford bicycle works, polaris bikewear and carradice cycle luggage. of course, the grant doesn't just come in the form of free kit; there are certain conditions that have to be met, such as setting off alone into the big wide world this year for at least six months. it's necessary that you are between 18 and 25, free of any other contractual obligations and intend to make full use of the equipment and mentorship. "We are looking for applicants who expect their journey to involve elements of adventure, challenge and uncertainty." tom allen says that the grant's aim is to promote journeys that involve immersion in unfamiliar places, cultures and ideas. additionally "Preference will not be given to journeys associated with a charity, record attempt, or other 'cause' which would detract from the immediate experience, nor for journeys obliged to focus on specific destinations, themes, objectives or achievements." there is only one grant available this year, and i think i'd be correct in assuming that the majority of us here would find ourselves well outside the age qualifications. however, that doesn't mean that we do not know of a person or persons in the first flush of youth with an unbridled sense of velocipedinal adventure. in which case, it would only be responsible to point them in the direction of the link below. you can but hope for a signed copy of the book they write on return. it is a perpetual effort and a similarly constituted conundrum. my percussive career is currently in the doldrums and has been, if i'm quite honest, for some considerable number of years. this, for once, has less to do with with any lack of effort or ability on my part, but a great deal to do with where i live. though islay holds an annual jazz festival each and every september, and has done so for the last sixteen years, amongst the local populace, there is remarkably little appreciation of this genre of music. i have been very fortunate to have played each and every one of those festivals - the only musician to have done so - yet few of those years have seen my drumset fulfil the same function. not only have i played behind a consummate blues band, but i have done so with a piano trio, a trumpet led quartet, as a pipe band drummer and latterly with a more rootsy blues group featuring fiddle and accordion. but that occupies only one evening per year, not always preceded by weeks of rehearsal; more often than not, a couple of hours. thus, in order to keep percussive body and soul together, necessity has frequently become the mother of invention, leading to outings with ceilidh bands, pop bands, the school wind band and even heavy metal, a genre considerably distanced from that of jazz. so, with so much downtime on my hands (and feet), coupled with a long-term desire to feature in a jazz piano trio, i spend way too much time considering quite what would be the ideal drum setup and mode of playing with which to be involved should the mythical piano trio miraculously come into being. my reasoning goes that, were i to be more frequently occupied in beating the skins as the vernacular would have it, my two quandaries of setup and technique would effectively solve themselves. 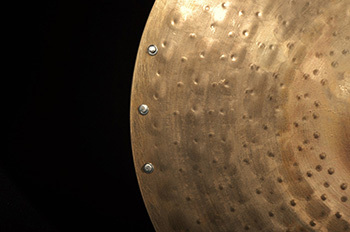 however, in the pursuit of this endless quest, i quite often seek out relevant drummers and jazz band performances on youtube, not only for suitable material, but in order to seek out self-defined deficiencies in both equipment and playing technique. it is a thankless task, for quite what i expect to gain from watching vinnie, steve, buddy et al is anybody's guess. only this past week i found myself watching a full concert of the steve gadd band from a large stage in germany (as opposed to the postage stamp afforded the same band at ronnie scott's in london). gadd has used the same yamaha setup for more years than there are ways to leave your lover, as well as having remained faithful to zildjian cymbals throughout his impeccable career. that's more than can be said about vinnie. however, by watching closely, i was able to at least partially solve why his hi-hat cymbal sound is arguably more impressive than many of his peers; the bottom cymbal features a full set of sizzles. impressed by this discovery, i e-mailed zildjian's customer service to ask if this was something that could be purchased, or did gadd benefit from endorsement privileges? 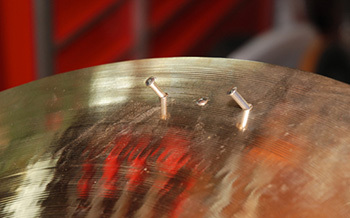 their prompt reply advised that placing rivets in any zildjian cymbal was a service offered to all their customers, and the fellow thoughtfully included a form that i might complete and send along with my cymbal to the zildjian factory. those sufficiently well-versed in the ways of the percussive industry will have not been slow to note that, while i am domiciled in bowmore, islay, zildjian are in fact based in norwell, massachusetts, not quite neighbours with, but at least in the same state as richard sachs. 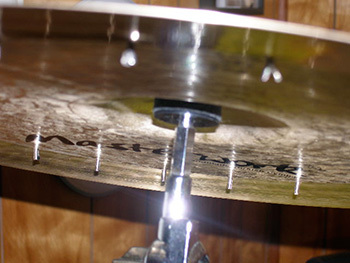 despatching a 14" hi-hat cymbal across the pond to have eight sizzle riverts fitted would scarcely be considered a particularly economic or pragmatic undertaking. it's a situation that must also have encroached upon the cycle industry, given its never ending quest for globalisation. the british safety standard as applicable under bs6102 advises that the right brake lever ought to actuate the front brake (disc or otherwise), while the left lever works the rear. but many of the cycles we now purchase via mail order, often from non-british retailers adhere to the opposite cabling procedure. no doubt there are quality control strictures in place to prevent the wrong bike heading to the wrong country. and if something goes wrong, the bike has a few more miles to return than to your local bike shop. of course, the same can be said of pretty much any item purchased online and not from the country in which you were sat at the computer on which it was ordered. i fear i may be guilty of scare mongering, based on no knowledge whatsoever of any problems that might have been suffered by international customers, but it may be much ado about nothing that has the potential to become distinctly otherwise. during this past week, i received a press release from an individual, keen to advise me of the efficacy of what was admittedly a rather intruguing product. in order that i might satisfy myself as to its professed quality, i asked to receive photos rather than drawings and inquired as to the possibility of a review sample. the latter request was duly requited, though subsequently undermined by my learning that he lives on the west coast of america and his learning that i lived just off the west coast of scotland. neither realisation had impinged on our previous communications. of course, now that the world has become one great big bicycle market place, i'm pretty sure that entrepreneurial devices will ensure all runs smoothly nation to nation. that way, the money will flow with ease in the appropriate direction. 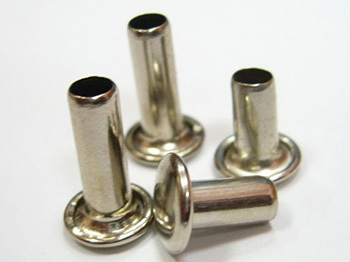 still, if you're planning a future purchase that involves a bicycle, item of cycle clothing or desirable component, resist the temptation to be unnecessarily impulsive. do a bit of research first, if only to avoid customer services informing you that the frame requires to be returned to taiwan for a replacement dropout or the creaking press-fit bottom bracket to be silenced. so far, no-one has offered to fit sizzle rivets in a 53 chainring.